The forecast says fashionable! 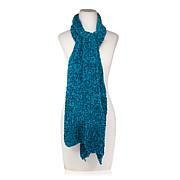 Look your best in this beautiful loop scarf made from soft, woven fibers. It has a wonderfully wrinkled appearance, so it's actually stretchy and bouncy. 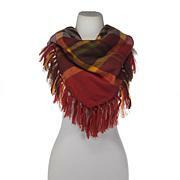 Perfect for fall through spring because it's super lightweight. 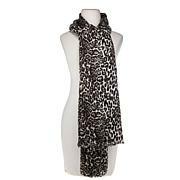 Kim Isaacsohn, Head Coachman of Clever Carriage Company, loves combining exotic prints. Snakeskin and cabbage roses come together here in an eclectic mix and are printed on luxurious silk. 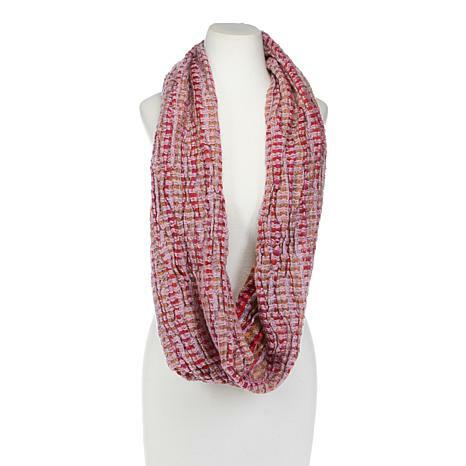 The digital printing on this scarf is so clear you will actually feel as if you are in an exotic garden!